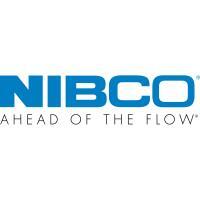 Company Summary: NIBCO, a recognized manufacturer and brand leader of valves, fittings and flow-control products, operates 11 manufacturing facilities throughout the United States, Mexico and Poland, and five U.S. distribution centers, and offers more than 30,000 SKUs to its customers. Spanning five generations of family leadership and associate ownership, NIBCO remains privately-held and is positioned for growth in a global marketplace. In the last two years, NIBCO has expanded its footprint with the acquisitions of Sure Seal and Webstone, further expanding its reach in the industrial and hydronics markets. NIBCO was founded in 1904 and its World Headquarters is based in Elkhart, Indiana. What value can you company bring to M&SCA Contractors? : Current, new & emerging product for the Commercial markets. How has being an Allied Member helped your business? : Ability to develop long standing relationships with the decision makers. NIBCO has been an MCAA supporter for over 40 years.